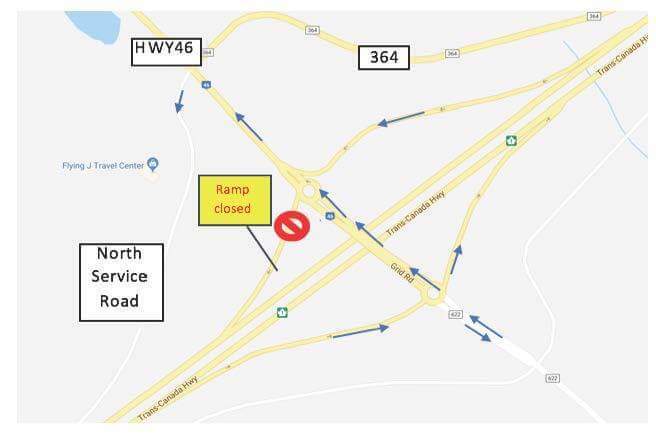 Starting Monday afternoon, the Eastbound On ramp at Balgonie will be reopened to traffic, allowing the Highway 1 Eastbound traffic to travel north on Highway 46 and south on Highway 622 via the bridge interchange. 1. NEW closure includes the Westbound On ramp. – Highway 1 Westbound via the bridge. 2. Traffic wanting to travel East or West on Highway 1 will need to use the North Service Road and access the highway at White City. Work on the Balgonie Bridge is scheduled to be completed prior to the August long weekend, weather permitting.